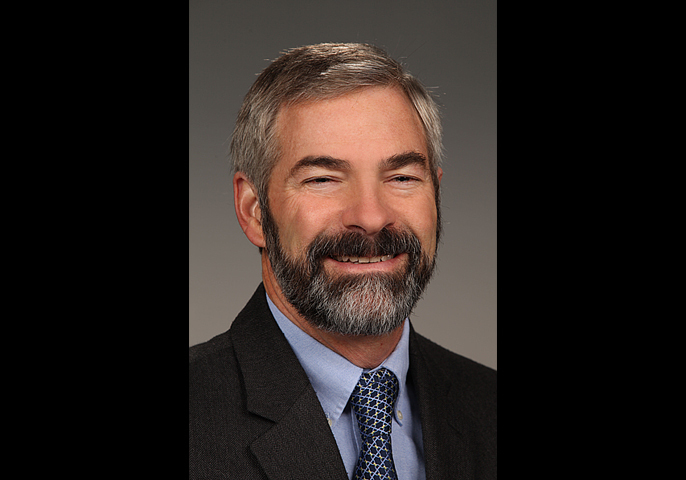 RICHLAND, Wash. — A materials scientist at the Department of Energy's Pacific Northwest National Laboratory has been elected to the rank of Fellow in the Materials Research Society. Jim De Yoreo was recognized for his "pioneering research in the field of bio-inspired materials science and engineering along with his distinguished leadership and service to the materials community." De Yoreo leads PNNL's research initiative focusing on materials synthesis and simulation. He is also an affiliate professor of materials science and engineering at the University of Washington. During his career, he has pioneered development of experimental techniques to understand the growth of crystals in materials ranging from proteins to bones; and in collaboration with others has developed protein-like materials that affect inorganic mineralization, which is of interest for environmental applications such as carbon sequestration. De Yoreo has served in various roles within MRS, including society president, member of the board of directors, and chair of numerous subcommittees. He has also chaired national and international materials science conferences, contributed to national efforts in public outreach and edited journals. De Yoreo has authored or edited over 190 articles, books and patents. He has won both the International Organization for Crystal Growth's Laudise Prize and the American Association for Crystal Growth's AACG Award, and is also a Fellow in the American Physical Society. He earned a bachelor's degree in physics from Colby College in Waterville, Maine, and both a master's degree and a doctorate in experimental physics from Cornell University in Ithaca, N.Y.
MRS brings together materials researchers from academia, industry and government to focus on advancing interdisciplinary materials research to improve the quality of life. The organization has more than 16,000 members in more than 60 countries. De Yoreo will be honored along with the rest of the 2014 Fellows at the organization's spring meeting later this month.